If you came to last year’s Winter Solstice Disco you will know that resident Green Room DJ Nic Dalton has a massive stack of 70s disco, soul and funk and isn’t afraid to unleash it on you. From the well-known to the totally obscure – your booty will be shaking when the Green Room transforms itself into a top shelf 70s disco club. 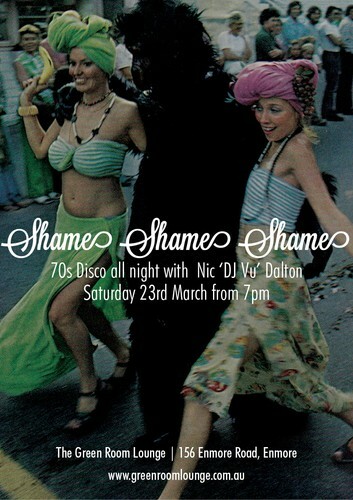 Shame on you if you’re not here!